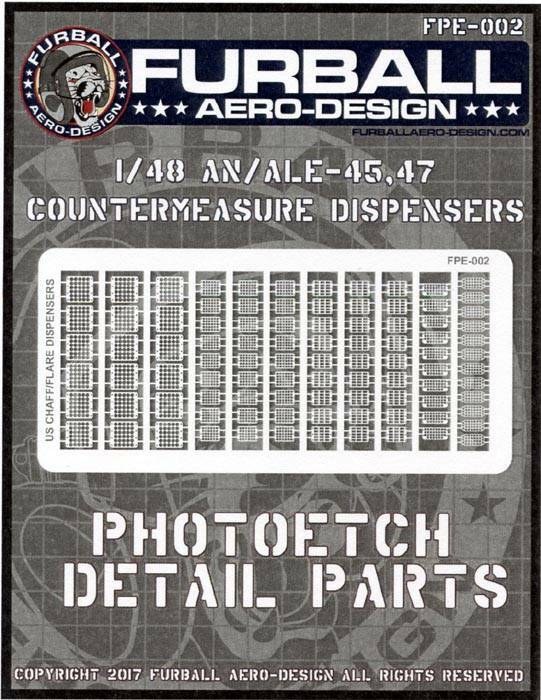 This set in 1/48 scale reproduces the AN/ALE-45 & 47 countermeasure dispensers found on many US and NATO aircraft. Replicated in petite detail the way only photoetch can achieve, this set is a valuable upgrade for your project. This set contains 94 individual dispensers; more than enough for several models.